THE MARTINI CHRONICLES: Infograph: Pre-Interview, Interview, and Post-Interview Tips! 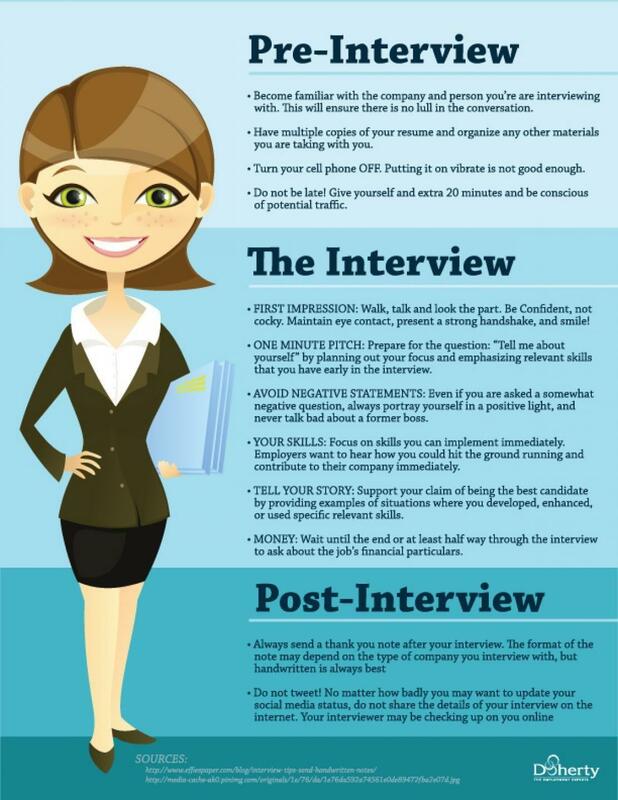 Infograph: Pre-Interview, Interview, and Post-Interview Tips! Greetings Divas! And Happy Leap Day! This morning as I was perusing my LinkedIn feed, I came across a few visuals from Interview Laboratory that fantastically summarize some very important points on interviewing. I really enjoyed the visuals, and thought it would be a great idea to share them with you all. Up first are some great tips on the Pre-Interview, Interview, and Post-Interview Processes. If you are currently in the job-seeking phase, these tips may help you to take your interview to the next level. I hope you all enjoy! Also, please be sure to check out the Interview Laboratory...they have some pretty useful information to share! See below for various contact information, and be sure to come back here on Wednesday for another visual. Have a great day!